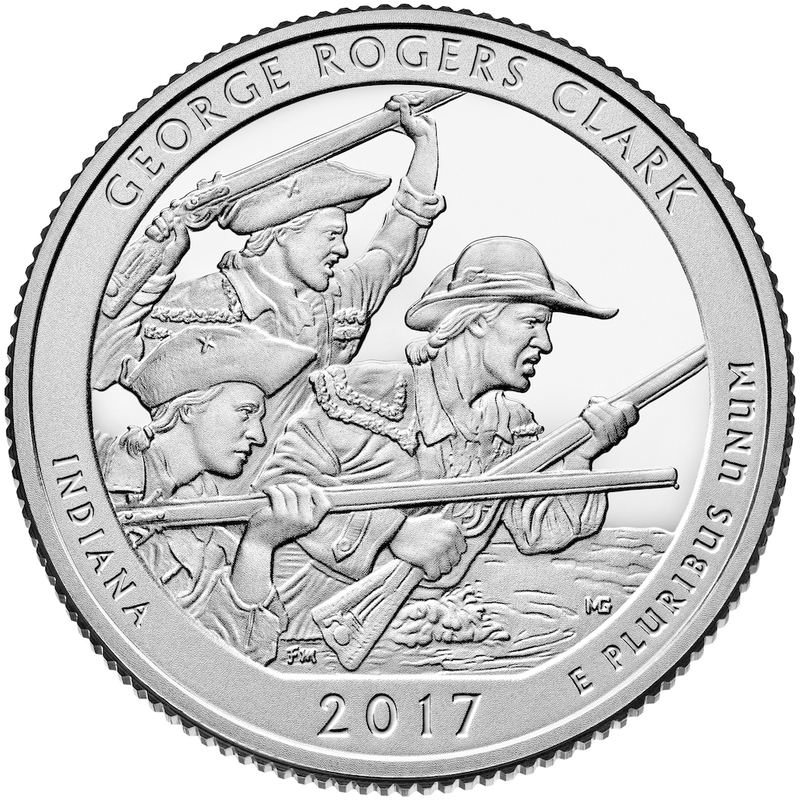 The United States Mint will hold its official launch ceremony for the George Rogers Clark National Historical Park quarter on Tuesday, Nov. 14 at 10:00 a.m. (ET). Event highlights include performances by the George Rogers Clark Fife and Drum Corps and Vogel Elementary School Choir. United States Mint Artistic Infusion Program artist Frank Morris, designer of the George Rogers Clark National Historical Park quarter, will also attend. $10 rolls of newly-minted George Rogers Clark National Historical Park quarters will be available for exchange following the event. The evening before the ceremony, the United States Mint will host a coin forum on Monday, November 13, 2017, at 6:00 p.m. (ET) at the George Rogers Clark National Historical Park Visitor Center, 401 S. 2nd St., Vincennes, IN 47591. The coin forum is an opportunity for the public to learn about upcoming coin programs and initiatives, and express their views about future coinage. The United States Mint America the Beautiful Quarters® Program, a 12-year initiative that honors 56 national parks and other national sites authorized by Public Law 110-456. Each year, the public will see five new national sites depicted on the reverses (tails sides) of the America the Beautiful Quarters. The United States Mint is issuing these quarters in the order in which the national sites were officially established.